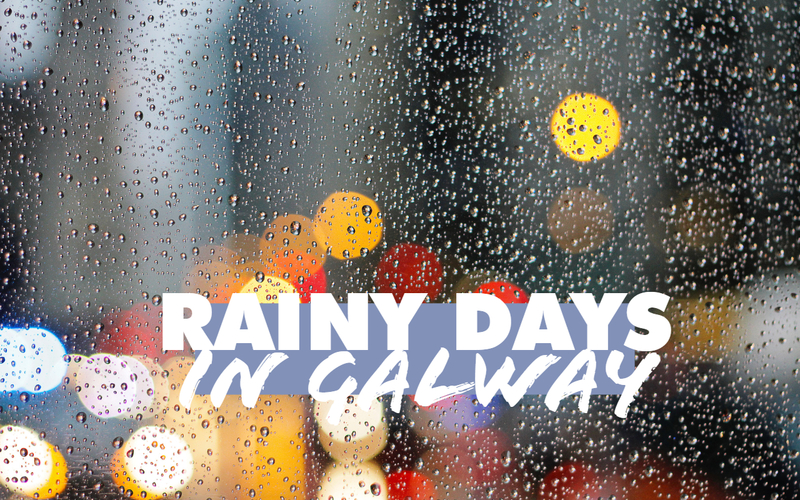 A rainy day in Galway is far from a surprise, it’s more of an everyday occurrence! The majority of Galwegians have built up a uniform of wellies, rain jackets and umbrellas, ready and waiting for their time to shine. But the question is; what to do if you don’t feel like getting drenched? Galway has a huge range of activities to keep you busy until the sun starts shining. In the mood to embrace the culture and history of our beautiful city? Get inspired by the exhibitions, tours and workshops showcasing Galway’s prehistoric and medieval past and sea science! The best part is that with free admission, it won’t cost you a penny! If you’re feeling particularly artsy today, free admission to Galway Arts Centre is a pretty sweet deal! Explore the 3,000 square foot of exhibition space showing national and international contemporary artists. 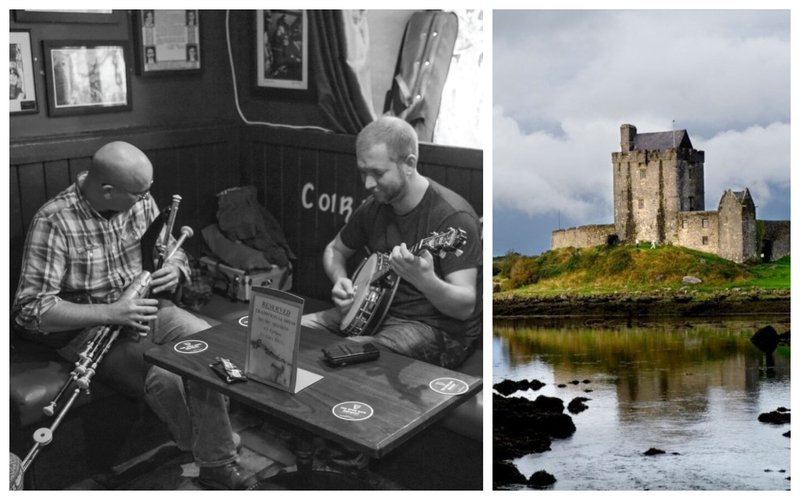 Galway’s traditional music scene is the best in the West! Duck out of the rain and into Taaffes pub to soak up the atmosphere created by the beat of a bodhrán, the vibration of an accordion and the trill of a fiddle seven nights a week. For the price of a pint, it’s a pretty good way to dry off. Galway has lots of options for trad music. Check out a full list here! Grab your coat and hat and brave the elements in pursuit of culture! Delve into the grounds of any of the beautiful castles dotted around the county. From Claregalway to Athenry, the Irish landscape has lots of treasures just waiting to be explored. Check out Galway’s castles here. Nothing could be more enjoyable than relaxing with a warm mug of coffee, watching the world go by from the safety of a cosy café. If you have an evil streak you may even take pleasure in passers-by attempting to dodge the raindrops! Renzo Gallery Café, doubling as an exhibition space for local artists, is the perfect place to while away the day. For some café and coffee shop inspiration in Galway, read on here. Feel like splashing some cash? If you’ve managed to hang on to a bitta cash and are planning to splurge, Galway is brimming with destinations for a craic filled day out. Up for a bit of craic? Getting a group of your mates together for a bit of axe-throwing could be just what the doctor ordered. Based in Tuam, this unique experience is an ideal way to spend a rainy day. If you fancy getting yourself locked into a room for 60 minutes with no way out except solving the clues, observing your surroundings and piecing together a puzzle, Galway’s Great Escape Rooms will be right up your alley. Open the Door just off of Eyre Square are the latest addition to Galway’s love of escape rooms for something new! Get excited, get tense and – for the love of god – get yourself out! Cosying up to watch a good movie is a pastime everyone enjoys and luckily Galway has some brilliant state of the art cinemas. Pálás’ direction towards film-lovers makes it a unique location, with a bar and restaurant on-site and always something a little bit different to enjoy. 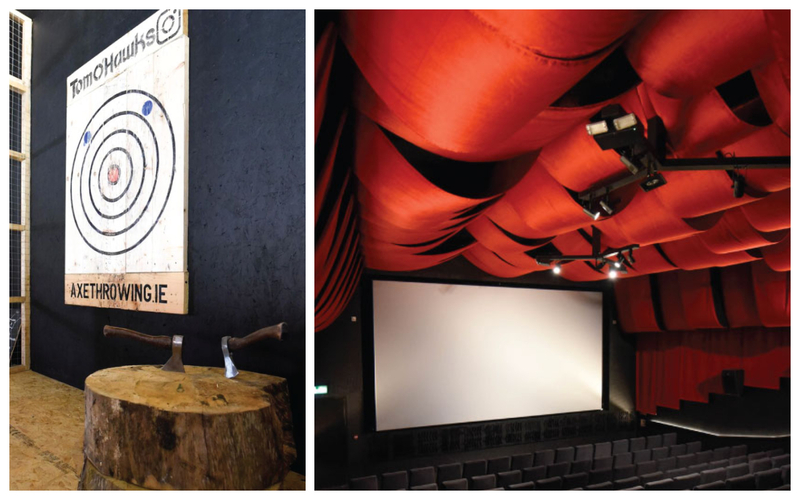 Galway’s Eye Cinema has all the blockbusters plus slushies and an ice cream counter, making it a great place to bring the family. Whether it’s acclaimed new movies or classic oldies, the movie theatre offers a cinematic experience like no other. Get suited and booted to zoom around the 20,000 square foot indoor racetrack at Galway City Karting. Your heart will be racing, your body will pulse with adrenaline and your rainy day will be sorted! Duck in out of the rain and get transported to a virtual reality. Within the walls of VR World, you’ll get to race head-to-head with your mates, enter into their fully immersive VR escape rooms or even walk into virtual worlds using their KAT VR walkers. Basically, you’ll be taking a step into the future. So that’s pretty damn cool. If all else fails, grab a brolly, stick on your wellies and dance in the rain!